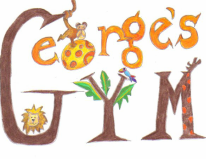 GEORGE'S GYM ~ We bring the FUN to YOU! We are constantly in and out of classes every week day, so please allow time for us to return your call or email. Any calls or emails received on Saturday or Sunday will be answered on Monday in the order they were received. Please contact us using the form below to ask questions or inquire about available time slots. If you are ready to schedule a Class or Party, please visit the page of your desired program and fill out the scheduling form located at the bottom. ​*We reserve all Saturday and Sunday time slots for our WONDERFUL Birthday Parties! Inquiry and scheduling forms can be found at the bottom of our Birthday Party Page. Send us your thoughts ~ We are always happy to hear from you! Prefer to email us directly? We are happy to answer your questions at georgesgymllc@yahoo.com.